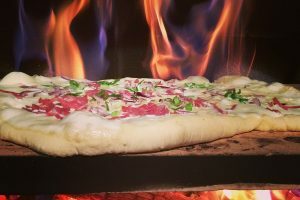 What do all great pizzas have in common? 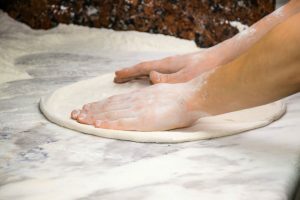 Dough? Yes. Cheese? Often. But, what about a great pizza sauce? A pizza without sauce is like mac without cheese, like bread without butter, like mornings without coffee. 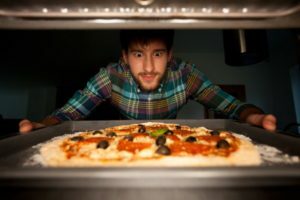 A pizza with no sauce on the crust will leave you with a dry taste in your mouth. 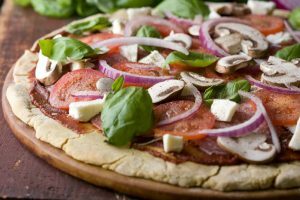 Pizza sauce not only adds some much-needed moisture to a baked food, but it also adds great flavor. A pizza sauce with lots of herbs and spices can elevate a pizza. 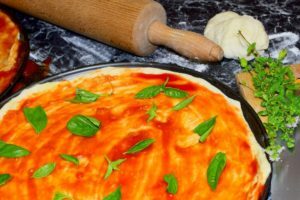 If you are going to make your own pizza, then you are going to need a great sauce. We have three of the best pizza sauces to buy. 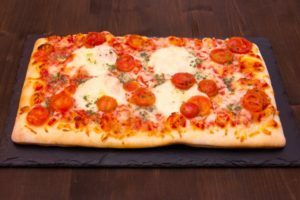 If you like to make pizza as much as I do, then you are going to want a lot of pizza sauce (it is also great for spreading on bread, using as a sauce, and adding to soups). This order will give you a 12 pack of 15-ounce cans. That is enough pizza sauce to keep you going for a while (unless you like pizza as much as I do, in which case, it will last you about a week). Pizza sauce is all about freshness, but people often confuse canned goods as lacking that. If fresh ingredients are used, then the canning preserves that freshness. 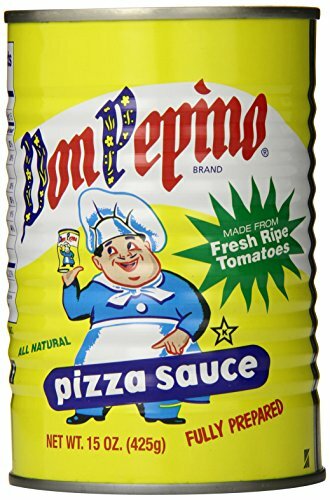 Don Pepino uses fresh vine-ripe tomatoes to give an authentic Italian taste. 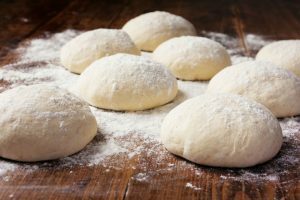 The salt, spices, and garlic combine to give you a delicious sauce to spread on your pizza dough. The sauce was created in 1950, and the very same recipe is used today. That should tell you something about the quality of this sauce. If you do not need to change the recipe over time, then it must taste pretty good. This is a thick pizza sauce, which makes it perfect for spreading on pizza. It will hold the ingredients on top while not making your pizza soggy. If you want a sauce which shines, then this sauce will add a lot of flavor to your pizza. This is another multipack buy. When you order this pizza sauce, you will get twelve 15-ounce cans of sauce, enough to keep you going with pizzas for a long time. The main selling point of this sauce is that it is organic. The tomatoes are grown on organic farms in California. The Californian sun helps to ripen these tomatoes and add a sweetness to them. Along with being certified organic, this sauce is also non-GMO certified. If you want the best for you and your family, then this sauce is a great buy. Along with the organic tomatoes in the sauce are extra virgin olive oil, sea salt, onion, oregano, basil, black pepper, and garlic. The individual flavors shine through to give you one of the best-tasting pizza sauces on the market. The tomatoes are picked at peak ripeness to ensure a bold and bright flavor. We love the versatility of this pizza sauce. Not only can you use it as pizza sauce, but it also makes a great pasta sauce. Use the sauce on its own or add some meat or vegetables to create a great-tasting sauce. You will get twelve 8-ounce cans of pizza sauce with this order. 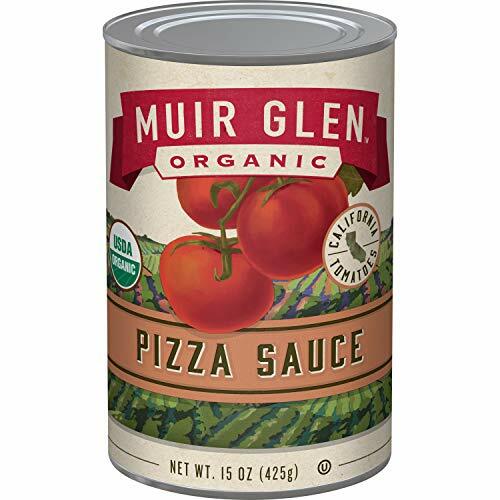 If you want a smaller can of pizza sauce (perhaps you are not using a 15-ounce can, and the remainder is going to waste), then this is the sauce for you. 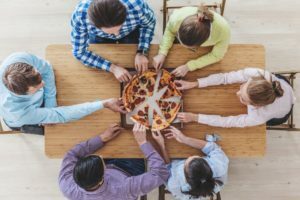 With an 8-ounce can, you can use the entire can in one pizza sitting. This is another sauce which has been around for a long time. The family recipe was created in 1952 and is still going strong today. One thing we love about this sauce is the addition of Pecorino Romano cheese. It adds a cheesy flavor to the sauce. 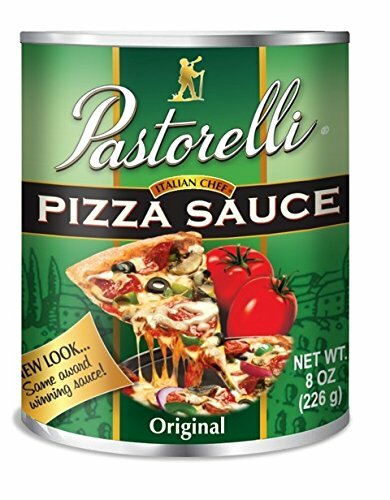 If you like your pizzas to be extra-cheesy, then this sauce will add that without you having to overload your pizza with so much cheese that it falls off the side or makes your pizza oily. Along with importing Pecorino Romano, Pastorelli also imports extra virgin olive oil to add a richness to the sauce. Combine the richness of ingredients with the zesty tomatoes, and you have a sauce which you will want to eat by the spoonful. This sauce will give your pizza a professional taste your friends and family will love. When it comes to any modern-day product, you always need to be on the lookout for certain ingredients. 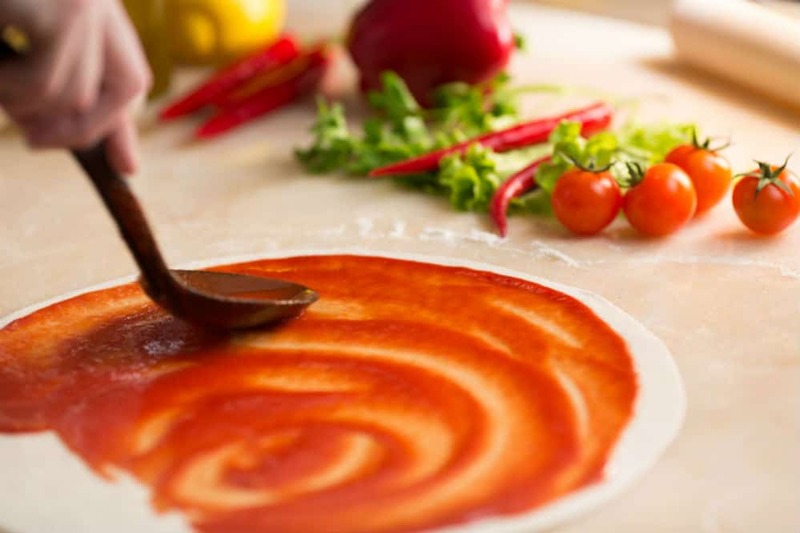 The Pastorelli sauce does contain dairy so it may not be for everyone, but that does not stop it from being our top recommendation for a pizza sauce. In our taste tests, this sauce always came out on top. 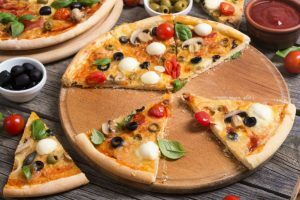 You do not need to add anything to this sauce if you want to have it over pasta, and on a pizza, you can have this sauce and cheese, and you will still have one of the best pizzas that you have ever tasted. We like that this comes in a smaller can size. The 15-ounce cans are great, but you can find yourself with some left over. With the 8-ounce cans, you can choose to use two if you need more, but any waste is cut down. We also like the simplicity of this sauce. There are only a few ingredients, but that only adds to the sauce. The Pecorino cheese adds a complexity and richness to this sauce that you do not find in a lot of pizza sauces. Quite simply, this is one of the best pizza sauces which you will taste. Great for pizza and pasta.